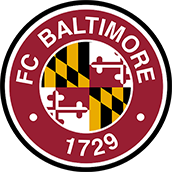 Towson Sports Medicine is excited to announce their partnership with FC Baltimore as they enter the National Premier Soccer League this summer. FC Baltimore will play its home games at CCBC Essex this summer. TSM will be providing athletic training services for the club throughout their inaugural season. Dr. Sarah Hobart will also serve as team physician. Dr. Hobart has served on the medical staff for the USMNT, USWNT, Los Angeles Galaxy, and Pepperdine University. “We are excited to be a part of this movement and are looking forward to bringing high level medical care to a high level club and league” states Brian Perez, Coordinator of Outreach for Towson Sports Medicine.